Want to separate the audio and video track in a video clip to get the music file only? Or need to add another audio file to the original video frame? In this tutorial, you’ll find how easy it is to split audio from video to make your own MP3s. Then no matter it’s a music video, TV show, or concert video, you can make your own MP3 file of the fantastic piece of music for enjoyment on the go.Check the step by step guide below to separate you audio from video. Run this audio separator, choose 16:9 or 4:3 ratio as per your needs to enter into the primary window. Then click Import to add videos, audio and photos from your file folder on computer. Note that this program is highly compatible with various formats, so you can maintain the original quality when editing them frame by frame. After you import videos, drag and drop them to the Video Timeline. By default, all files in Video Timeline will be merged together without any stop. 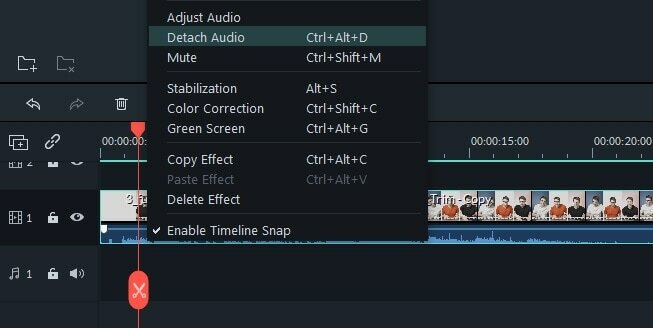 Now right click the video file you want to extract audio track, and select "Audio Detach". Immediately, you'll notice an audio file appears in the Music Timeline. Yes, this is the original audio file you need. Double click it to listen to it right now. Now you’ve separated the audio track from video file successfully. Want to add another audio file to it? Yes, it’s very common to add some instruction or narration to your recorded video to make yourself more clear, or create some funny things to share with family or friends. To do this, you can refer to more details from this tutorial: How to add music/background music to video. Since the audio and video track has been displayed in the separate Timeline, simply delete the audio or video track you don't need. Then hit "Export" to save the audio track to a new MP3 file, or directly select "iPod" preset to play on the go. 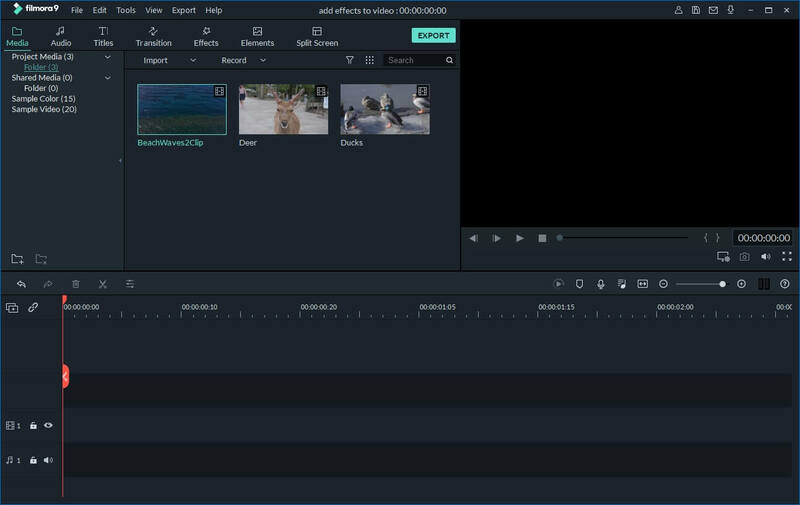 Tips: If you want to keep the split video frame or audio track separately in a new file, you'll need to save it to a project file on your hard drive first. When you complete the audio track export, reload the project file that contains the video frame, then export it to a new video file. 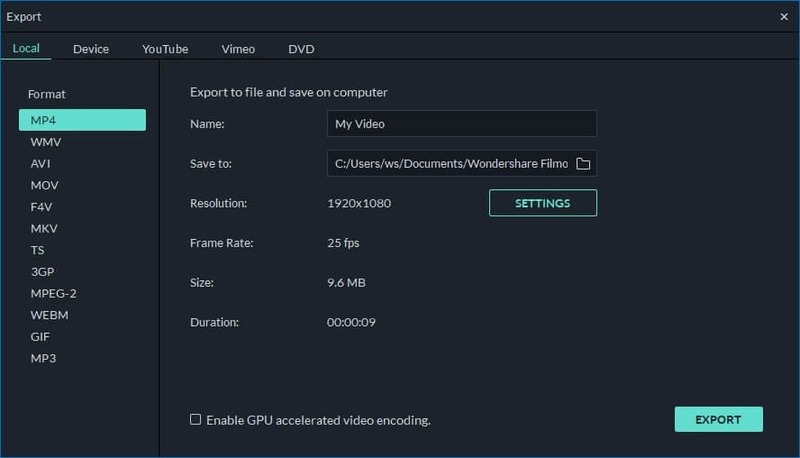 Wondershare Filmora (originally Wondershare Video Editor), in its latest upgrade, adds a set of special and funny editing features that even the most expensive editing programs don't support. Examples include making Jump Cut at scene changes, creating a frozen frame to highlight the most exciting moment of the story, applying Tilt-shift to make a miniature & create your own little video world! Download below free trial to create your own masterpiece now! i imported film from my iphone and cant see option to detach.